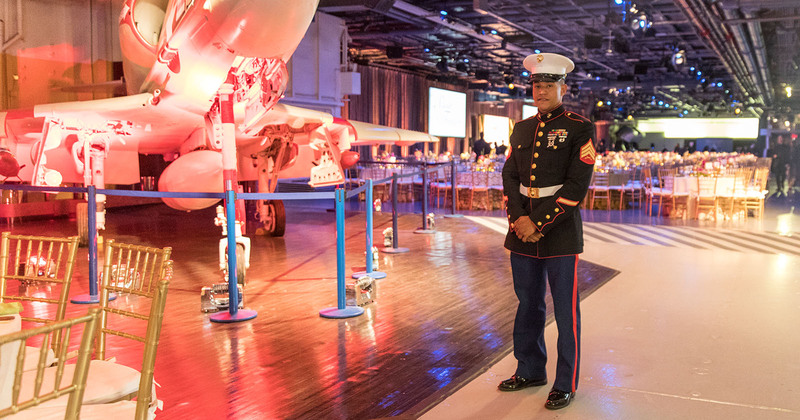 The Intrepid Sea, Air & Space Museum’s annual Salute to Freedom gala welcomed 1,300 guests to help support its education programs, which are enjoyed by 30,000 participants every year. 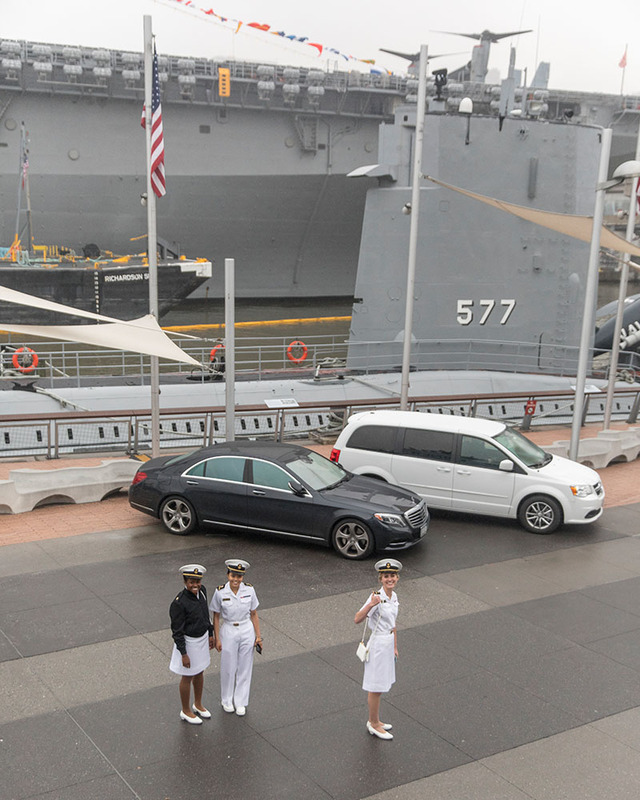 This milestone celebration highlighted the Veterans Access Initiative and demanded a memorable ambiance. 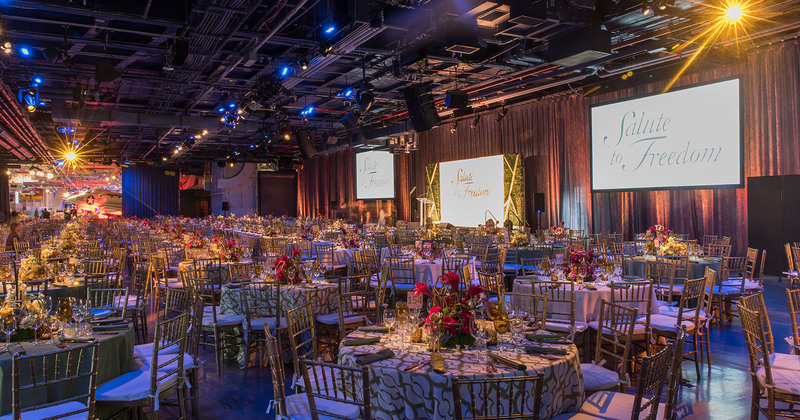 Our lighting design worked in tandem with décor by Zak Events and catering by CxRA to bring the evening’s theme, a sculpture garden, to life. 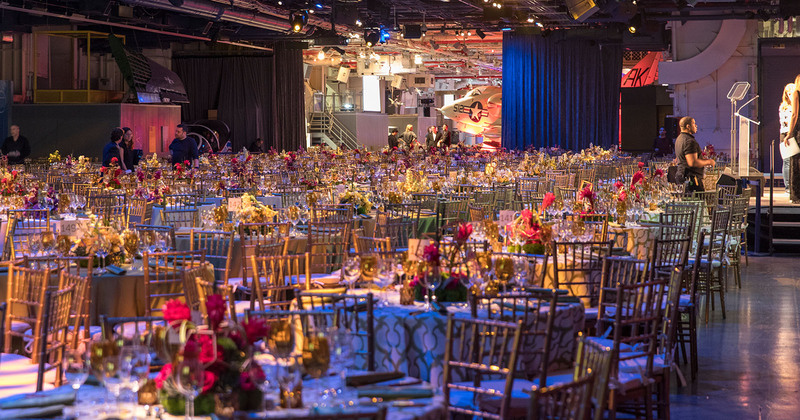 The team at Zak Events brought in geometric sculptures in varying tones of gold, and florals in magenta, yellow, and purple to lend vibrant hues to the space. 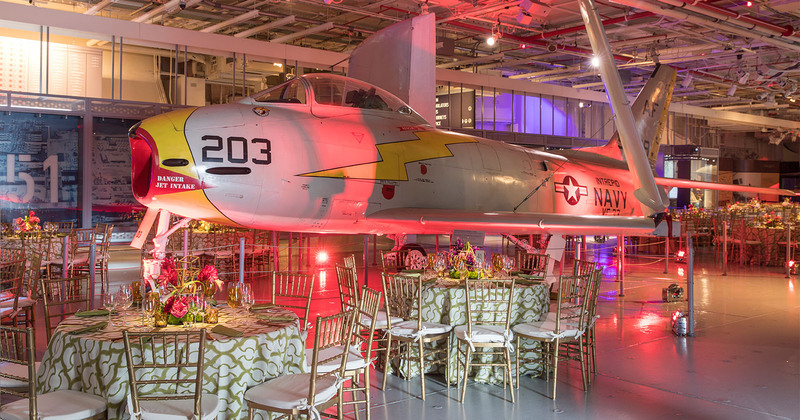 Custom patterned linens in leaf green and beige accentuated the spring-like feel in the hangar deck. 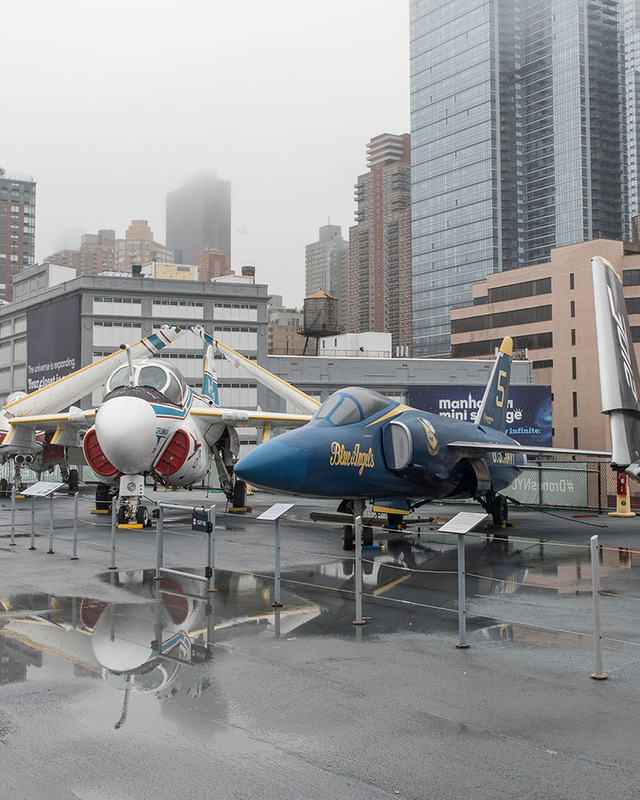 To compliment the design, we used colorful illumination around the perimeters of the museum’s flight deck, Space Shuttle Pavilion, and hangars 1, 2, and 3. 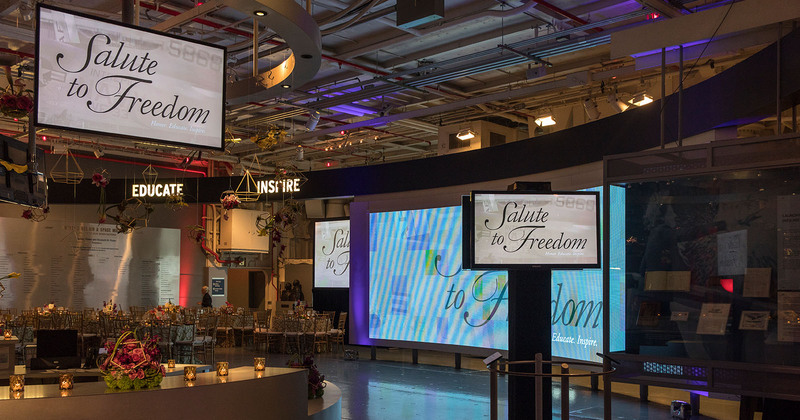 Through the use of bold projected patterns, the lighting helped evolve the evening, adding another design layer to the event. 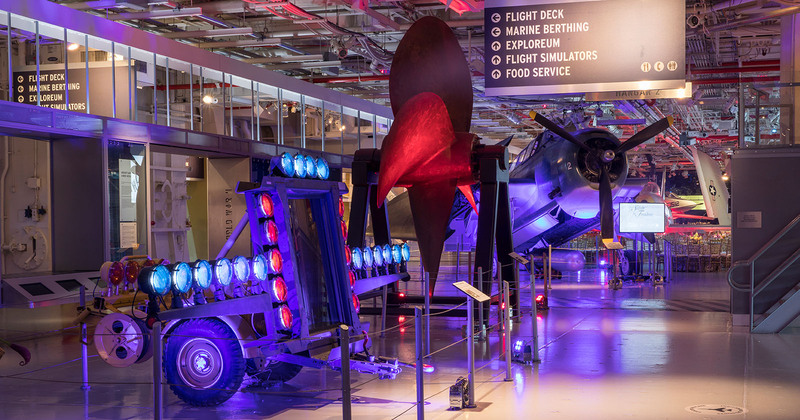 To ensure the museum’s most spectacular features remained focal points for guests, we bathed each of the airplanes and major artifacts with lights which were strategically placed.